Ruth Behar is the author of a new novel for older kids, Lucky Broken Girl, which is based on her own childhood. 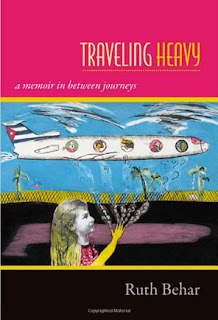 Her other books include Traveling Heavy and An Island Called Home. She is a cultural anthropologist, and she lives in Ann Arbor, Michigan. Q: You've said that you first wrote the story of your childhood accident and its aftermath from the perspective of an adult looking back. What made you decide to write it from a child's viewpoint? A: I had the idea in the back of my mind for a long time to write the story from a child’s viewpoint. As a young woman, I wrote short stories with magic and myth woven into them. But I gave up that writing to become a cultural anthropologist, always drawing on my rational mind to write essays and books for adult readers. In recent years I’ve come back to fiction. I tried writing an adult novel, but was unhappy with the result. I set it aside and sat down and started writing the story of the accident with the child as the narrator. Memories came flooding back. What I wished had happened otherwise, I took the liberty of inventing and making sweeter and more magical than in real life. When I finished the book, I felt so grateful to have been able to tell a story I’d carried around for 50 years. Q: How did you remember all the details you recount from the 1960s? Did you need to conduct additional research? A: I have vivid memories of the long months I spent in the body cast as well as the long months of learning to walk again. I drew on everything I could recall—and the lingering trauma that still exists in my body—to write Lucky Broken Girl. I had been the kind of child, and later became the adult woman, who was obsessed with the family history. Throughout the years I collected stories, old photographs, and memorabilia from my grandparents. 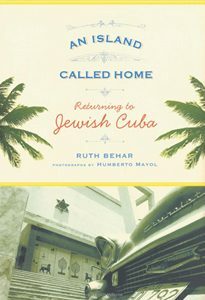 I built up a huge archive that helped me conjure the cultural context and the Jewish-Cuban diaspora history that informs the book. And I have traveled to Cuba, gaining a strong sense of the home we lost and feeling the weight of the nostalgia of those who left, like my family, with little more than a suitcase to start a new life in the United States. One of the most concrete ways I put myself back in the era of the 1960s was by drawing on popular music, recalling how I loved the song, “These Boots are Made for Walkin’.” Sure enough, those go-go boots from the song became an important symbol in the book. A: My original working title for the book was “The Accident,” but it was vague and didn’t convey Ruthie’s experience. I then thought of “The Broken Girl,” but that didn’t feel right either. It occurred to me that Ruthie was a girl who was both broken and lucky. She couldn’t leave her bed, but she got to go on an amazing journey of self-discovery during the year she was a convalescent. 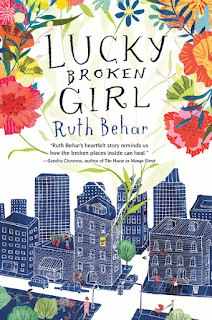 I started calling the book “Lucky Broken Girl.” I realized it was an unusual title and didn’t expect it to last. I’d heard that most authors don’t get to make the final decision on their book titles. But my editor loved the title, as did everyone on the marketing team, and it stuck. I’m glad I got to keep it. I love how it’s contradictory and makes you wonder from the start how it’s possible to be both lucky and broken. Q: You and your family had arrived in the United States from Cuba, and much of the book deals with the experience of being an immigrant. With the current focus today on immigration issues, what do you hope readers take away from your story? A: At this moment in history, we are experiencing a disturbing rise in anti-immigrant sentiment. We need to counter this trend by building more bridges between individuals and communities. The stories of immigrants, all immigrants, need to be told and heard, so our shared humanity can rise above the misperceptions. Lucky Broken Girl is an immigrant story but it isn’t limited to my own Cuban immigrant story. There are intersecting immigrant stories, shown through Ruthie’s friendships with a boy from India, a girl from Belgium, a neighbor from Mexico, and a physical therapist from Puerto Rico by way of the Bronx. She also has a close relationship with Baba, her Polish Jewish grandmother who finds refuge in Cuba on the eve of the Holocaust and then has to uproot again to the United States. All these immigrants are finding their way in the United States and are contributing to the moral and cultural fabric of the country. I hope readers will take away new understandings of the immigrant experience and develop greater empathy toward the plight of those who, at great emotional cost, must leave an old home to create a new home somewhere else. A: I’m working on a new middle-grade novel that takes place in Cuba. I’m afraid to say too much about it just yet, except that I’m very excited to be writing fiction again. A: The fact that it took me such a long time to write a novel about my childhood accident will, I hope, give other writers the push they need to get going on telling the stories they’ve been carrying around. It truly is never too late to write a story that’s from the heart. If you’ve been contemplating writing a novel about your childhood story, sit down and get started today! 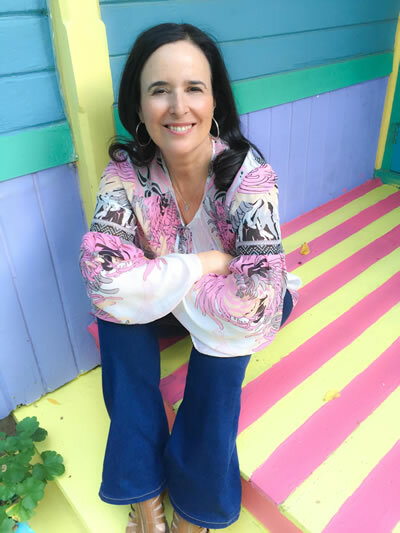 To learn more about Lucky Broken Girl and the other writing I’ve done through the years, please visit my website.